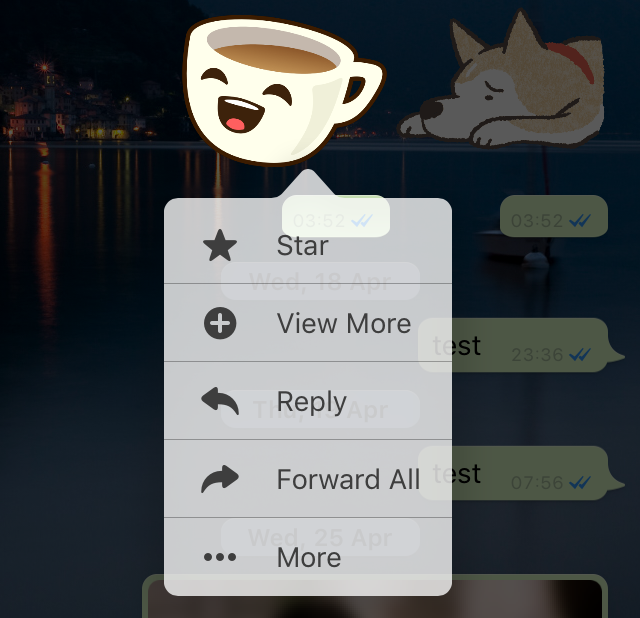 WhatsApp is rolling out the Stickers feature! WhatsApp was working for a long time to implement a new message type in their applications for iOS, Android and Windows Phone. 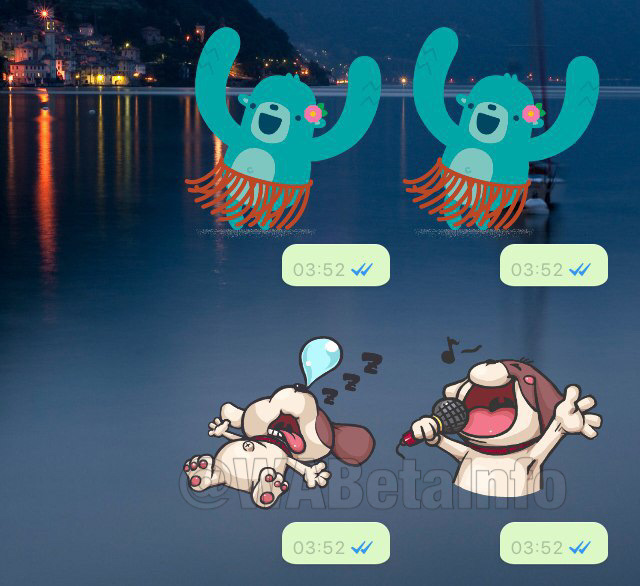 Implementing Stickers in WhatsApp was very required in these months and we have followed very carefully the development, showing all their progress. 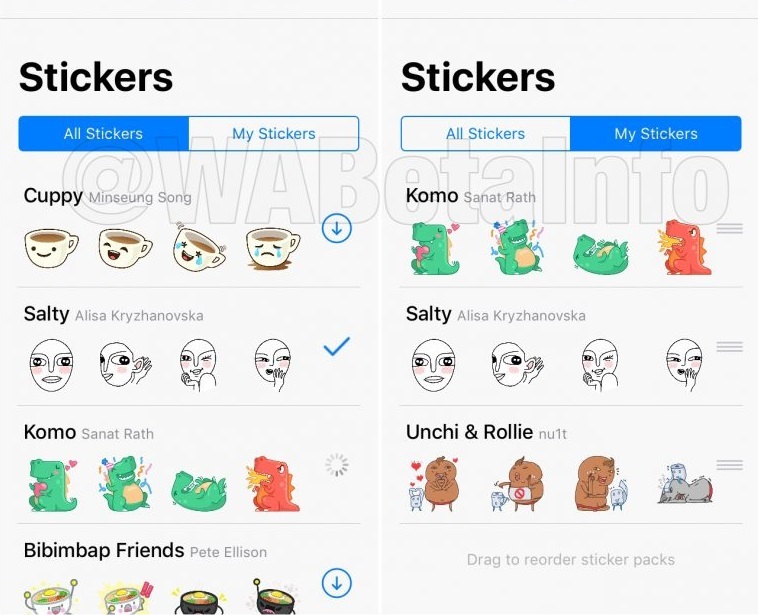 Following the development, we have discovered that WhatsApp has decided to support Facebook Stickers packs, as we wrote in the past, but they also supports Stickers Packs submitted by third parties in future..
You need to update your WhatsApp version to the 2.18.329 Android (the reception is enabled since the 2.18.310 Android) and the 2.18.100 iOS updates in order to remotely receive the activation of the Stickers feature. Note that the activation is very slow on IOS! Android users should be immediately able to use the feature on 2.18.329. If you have already updated but you don’t see the feature, please back up your chat history and reinstall WhatsApp, if you don’t want to wait more. Seen that it’s necessary the 2.18.100 update for IOS, all iPhones having iOS 7 won’t be able to use this feature. Precedent versions will not receive the feature. You need to update to the latest version available. AVAILABLE TODAY FOR ANDROID AND IOS! Cuppy by Minseung Song, Salty by Alisa Kryzhanovska, Komo by Sanat Rath, Bibimbap Friends by Pete Ellison, Unchi & Rollie by nu1t, Shiba Inu by Aiko Kuninoi, The Maladroits by Cole Ott, Koko by Hanasake Picture Inc., Fearless and Fabulous by Ann Shen, Banana by Jayde Fish, Biscuit by Ghostbot and Hatch by Hatch. These packs include static stickers, but in the very near future it will be possible to get animated Stickers. Note: a lot of Stickers Packs will be remotely added in future and the support for Windows Phone will be available later. 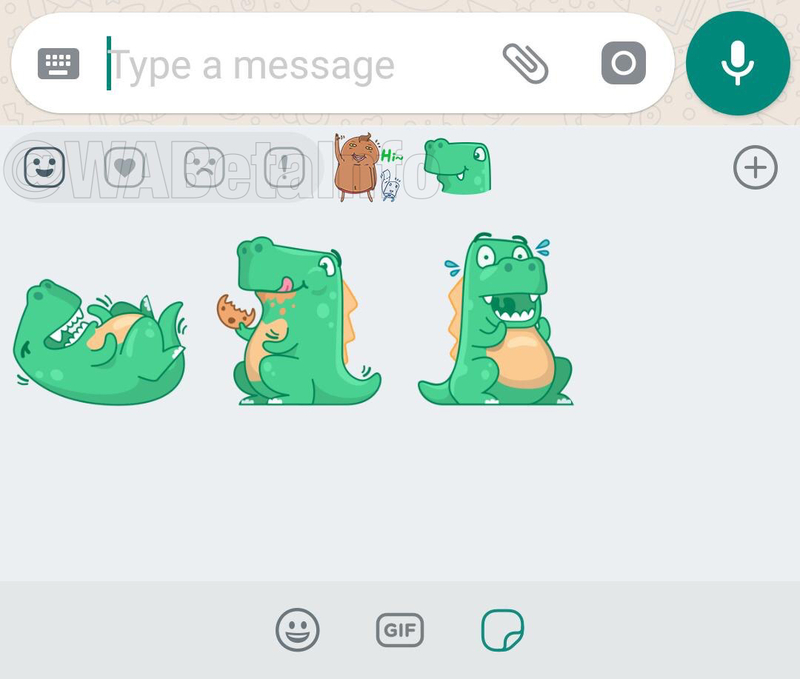 To send Stickers, you need to tap the Stickers button, located on the chat bar on IOS and on the keyboard on Android, and WhatsApp will present you the WhatsApp Store, where you can choose which Stickers Packs you want to download. All Stickers Packs are free! 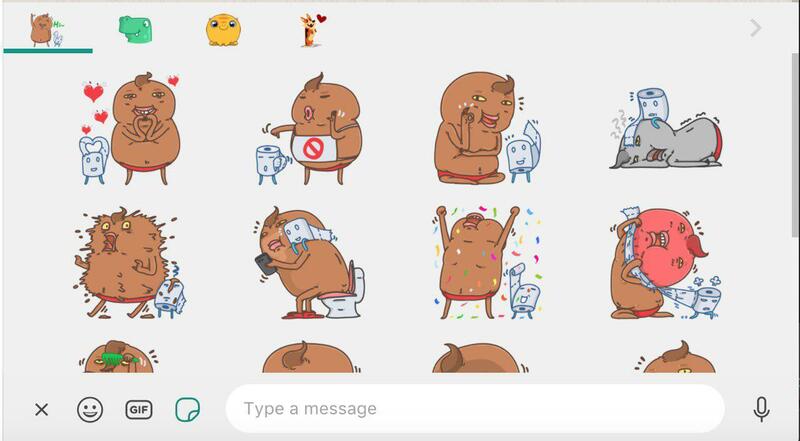 WhatsApp has added a very important feature: Stickers Category. Thanks to the Stickers Category feature, you can quickly search a sticker from a specific category. After downloading some Stickers Packs, you can also choose to remove them from your Stickers Library. Also if you don’t download a specific Stickers Pack, you are able to view all received stickers contained in that undownloaded pack. 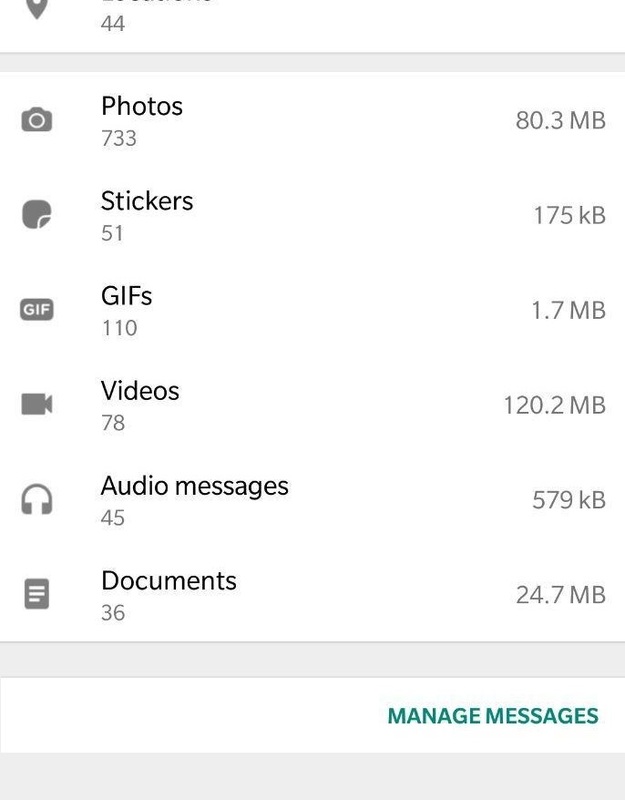 To manage all sent and received stickers in specific chat, you can look up the section Storage Usage! 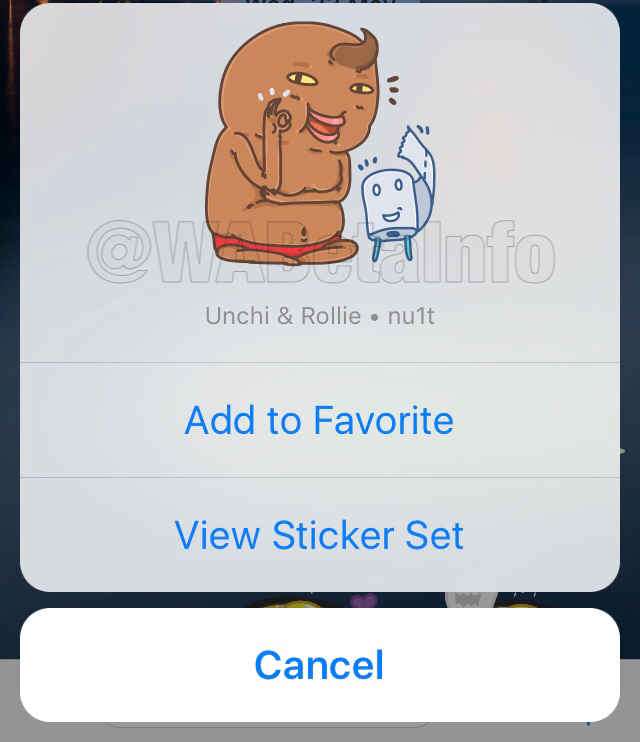 Stickers can be also grouped on both IOS and Android, to save space in the chat screen. This is very similar to the Album feature. 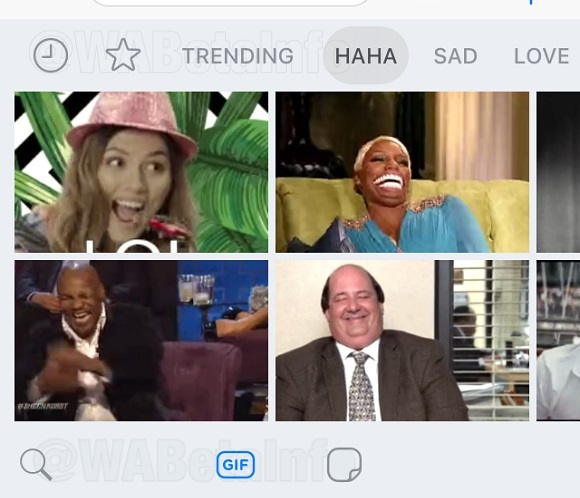 iOS has a new GIF option that allows to search and send GIFs directly in the chat. This new feature, as shown in the screenshot, supports GIFs category, so you can quickly choose a GIF based on a specific category. This feature is immediately available for IOS, and it will be enabled on Android soon. When the Stickers feature wasn’t enabled, it was necessary to open the Camera Roll in order to search GIFs on iOS: so for all iOS users two new features are available today! 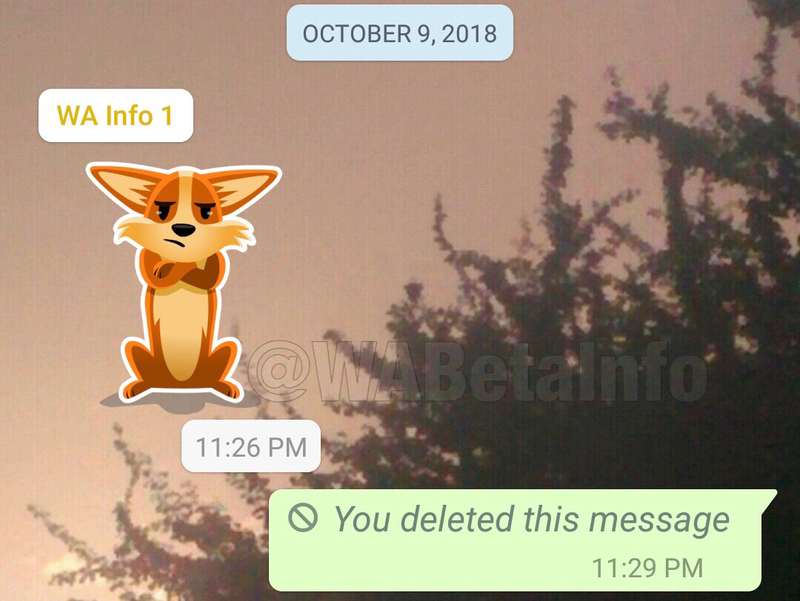 If the Stickers feature is enabled on your phone, you are able to use it if you’re using the most updated WhatsApp Web version. To be sure to use the latest WhatsApp Web update available, please clear the cache of your browser, restart it and visit WhatsApp Web again. If Stickers don’t appear yet, you should wait a bit more, because WhatsApp is slowly rolling out this update for everyone. Previous PostPrevious WhatsApp is working to add Touch ID and Face ID support! Next PostNext WhatsApp beta for Android 2.18.335: what’s new?